In the past, solar paneling on your home could save you up to 50-78% on your energy bill, but what if it could save you 500%, or 5000%, and you could store the reserve for later use? That would be pretty incredible, but it’s coming, and is already in the works. It started at Stanford University when some undergrads got together and tried to improve upon the photovoltaic effect, the current standard for converting the sun’s light into electricity. 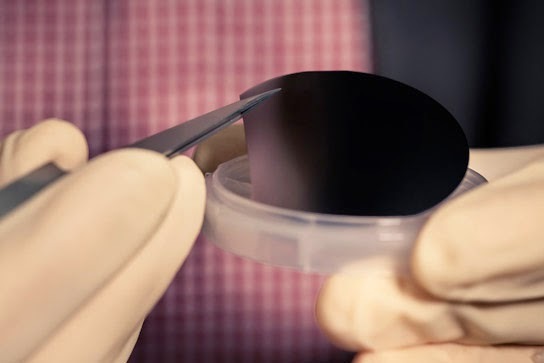 The new device is called photo-enhanced thermionic emission (PETE) process, and it’s a new solar device is about 100 times more efficient than its previous design in converting light into electricity. This is a major step in the solar power and solar energy field. With this device, the Sun’s light, as well as its warmth, are combined and intensified and what you end up with is a very powerful way to take today’s solar powered practical applications, and move them a giant step forward. The effects of this new design could change everything we know about solar power, and remove many of its limits, allowing us to create panels that are much smaller, much cheaper, and much more efficient. The home’s of tomorrow could all be powered with such devices, and if this were implemented it could virtually eliminate the need for other power sources. It’s expected to make its way into public use sometime in 2016 or 1017, and when it does I believe there’s going to be a solar power craze that will sweep across this nation like the telephone or electric power lines did once they became available. The good news is, if you get solar panels now, you can always have these new devices (thin strips, actually) fitted to the top of your current panels, making them much, much, more powerful than they were before – and that’s money you can take straight to the bank!